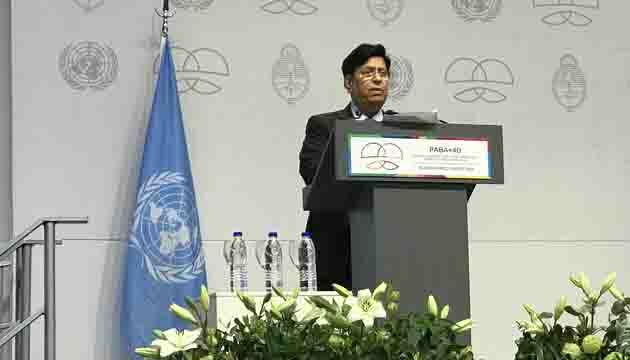 Today, Bangladesh’s Foreign Minister Dr. A. K. Abdul Momen, MP underscored the importance of South-South Cooperation (SSC) in the implementation of the 2030 Agenda in developing countries while delivering country statement at the plenary meeting of the Second UN High-Level Conference on South-South Cooperation in Buenos Aires, Argentina. 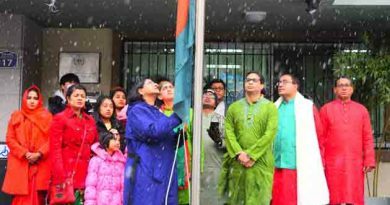 In this regard, he said, “I may recall here that Bangladesh highlighted the importance of SSC in the implementation of the 2030 Agenda even before its adoption in the ‘High Level Meeting on South-South and Triangular Cooperation in the post Development Agenda: Financing for Development in the South and Technology Transfer’ that it hosted in Dhaka in May 2015”. To strengthen and further invigorate South-South cooperation, the UN General Assembly is convening this high-level conference on South-South cooperation (SSC) on the occasion of the fortieth anniversary of the adoption of the Buenos Aires Plan of Action (BAPA) for Promoting and Implementing Technical Cooperation among Developing Countries. 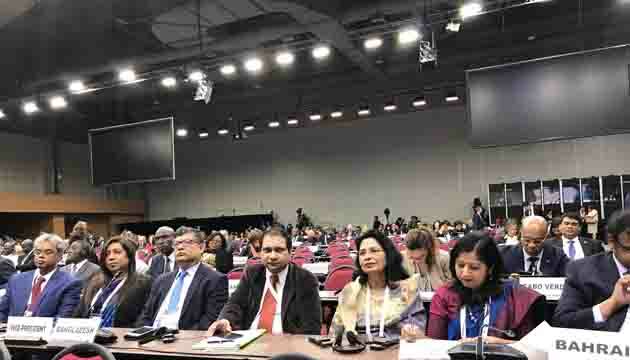 The High-level Conference is being hosted by Argentina which commenced on 20 March and will continue till 22 March 2019.Bangladesh has been elected as one of the Vice Presidents of the Conference. 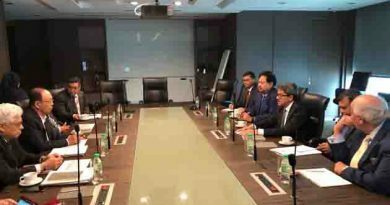 The Minister also chaired the high-level plenary meeting for a while. In his country statement, the foreign Minister shared some thoughts and plans of Bangladesh to promote SSC including proposal to establish a forum of Development, Finance, Economic and Foreign Ministers of the South to discuss, dialogue, and explore the potentials as well as the critical issues of the South in the context of achieving the SDGs. 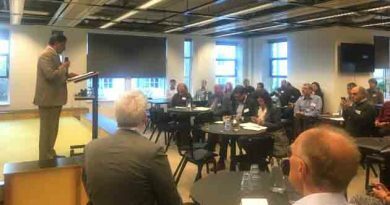 He also announced that Bangladesh is planning to set up a “South-South Knowledge and Innovation Centre” which would provide a platform to it and other countries to co-create solutions addressing challenges they face in advancing technology transformation, particularly emanating from 4IR, share their innovative practices and identify experiences which could be transferred, replicated and scaled up. Recognizing SSC as an effective cooperation mechanism in the development trajectory of Bangladesh, the Foreign Minister said, “Under the leadership of our Prime Minister Sheikh Hasina, we are now implementing our national development Vision 2021 to see ourselves as a middle-income country and Vision 2041 to transform the country into a ‘Sonar Bangla”, a developed one. We are in the process of graduation from the LDC category and we are conscious that this transition would make us face a new set of development challenges as a middle-income country. As we embark on that journey, we wish to harness the potential of SSC to address our huge development needs and challenges”. 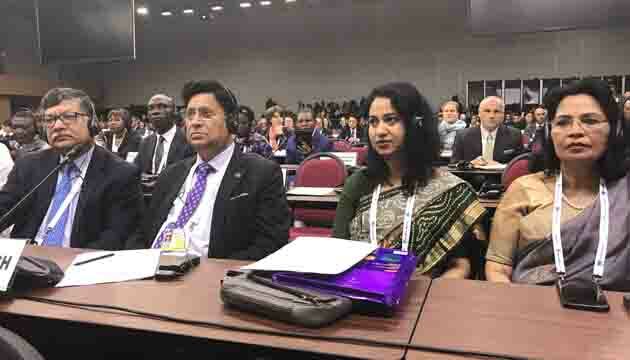 Bangladesh Foreign Minister informed the audience that Bangladesh has included SSC in its National Policy for Development Cooperation such as in various programmes and platforms under the Access to Information (A2I). 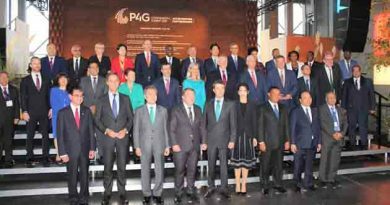 The Foreign Minister urged the member states of SSC to come forward for strengthening strategic partnership through the framework of South- South and Triangular Cooperation. Prior to delivering the country statement, the Minister attended a side event titled “A Glimpse of the future South-South and Triangular Cooperation: Asia-Pacific’s contribution in Science, Technology and Innovation” at University of Buenos Aires, jointly hosted by A2I and UNOSSC. In this side event the Foreign Minister enumerated the achievements of the government of Sheikh Hasina in science, technology and innovation and urged South-South and Triangular Cooperation to offer more collaboration among the developing countries and the development partners in the areas of knowledge, experience, best practices, training, capacity building and technology transfer as well as mutual learning and the coordination of STI policies and strategies towards achieving sustainable development. ← International Day of Nowruz : UN Secretary-General says the Nowruz holiday serves as an inspiration to us all.